Following a national search, natural resource expert and Audubon leader Sarah Porter has been named the inaugural director of the new Kyl Center for Water Policy at Morrison Institute. She will begin her new job at Morrison Institute for Public Policy on Jan. 20. 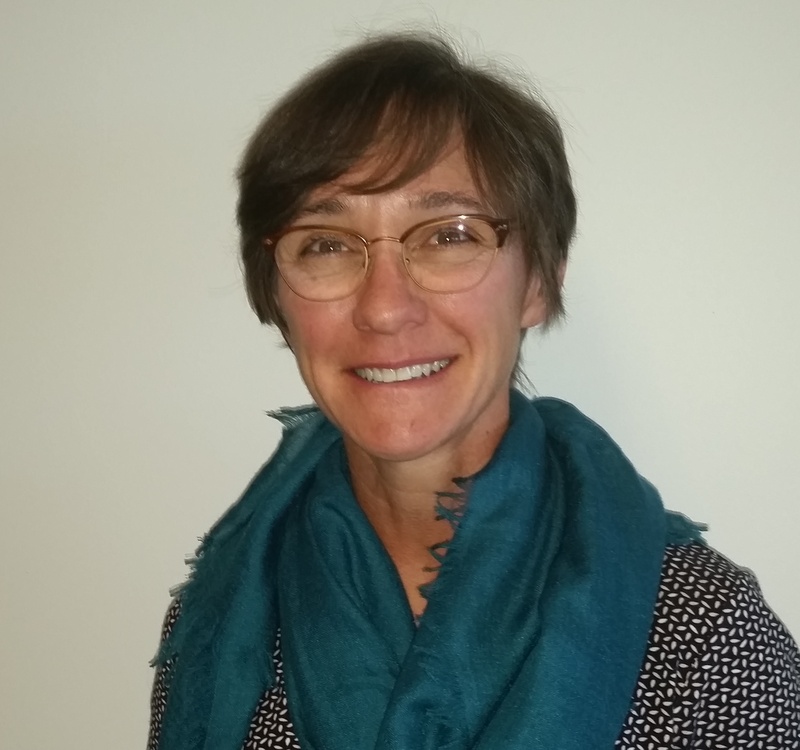 “We couldn’t be more pleased with having Sarah take charge of the Kyl Center as Arizona seeks new and innovative ways and strategies to settle water claims, develop sound water policy through consensus and better educate the general public about water resources and choices,” said Thom Reilly, director of Morrison Institute for Public Policy at Arizona State University. Porter has a broad understanding of both Arizona and regional water issues, having directed Audubon’s Western Rivers project, a multi-state initiative to raise awareness of the challenges to Colorado River sustainability, as well as protecting and restoring flows for critical habitats and communities. “It’s all about securing Arizona’s water future through collective and inclusive input from a diverse roster of agency leaders, elected officials, policymakers and stakeholders. Sarah understands that,” Reilly said, noting Porter’s nonpartisan and collaborative successful initiatives at Audubon. The Kyl Center, named after retired U.S. Sen. Jon Kyl in recognition of his statesmanship and continued leadership on water issues, was officially launched in November after a $1 million gift from the Morrison family. The Kyl Center is housed at Morrison Institute, which is part of the ASU College of Public Service and Community Solutions. Kyl, who is actively involved in the center, including the selection process for the director post, said he was pleased by the choice of Porter. “I was very impressed by the quality of all the candidates who expressed interest in the position, and particularly impressed by Sarah’s credentials, energy and dedication to collaboration – all of which are needed in making the center the success we all want and need it to be,” Kyl said. Morrison Institute last month announced the addition of two senior research fellows to help with the research component of the Kyl Center for Water Policy: Kathleen Ferris, executive director of the Arizona Municipal Water Users Association; and Rhett B. Larson, an associate professor of law in the Sandra Day O’Connor College of Law at ASU. Both are attorneys. Porter also is an attorney, having graduated from Harvard University with a bachelor’s degree and obtaining her juris doctor from Arizona State University (ranking third in her class). She clerked for federal appellate Judge William Canby and was a litigator for Brown & Bain; Coppersmith Gordon Schermer Owens & Nelson, PLC; and Osborn Maledon PA.
She said she left her law career in 2006 for Audubon because she wanted to contribute to a collaborative effort to address Arizona’s natural resource challenges. She will now dedicate that focus to the Kyl Center. The Kyl Center for Water Policy at Morrison Institute seeks to generate policy proposals for public evaluation and subsequent consideration for possible action or adoption. An ASU resource, the Kyl Center promotes research, analysis, collaboration and open dialogue to identify opportunities for consensus to ensure sound water stewardship for Arizona and the Western region for generations to come. Arizona State University will host the 30th Annual Martin Luther King, Jr. Breakfast, Jan. 22, at the Memorial Union on the Tempe campus. Arizona State University will host the 30th Annual Martin Luther King, Jr. Breakfast at 7 a.m., Thursday, Jan. 22, at the Memorial Union on ASU's Tempe campus. This invitation-only event will honor a community member and students who have demonstrated a commitment to diversity in our community. The cast of "Motown" is excited to join the festivities to honor these individuals who are committed to creating a compassionate and socially just community. The recipient of the Student Servant-Leadership award is ASU graduate student Rivka Rocchio, a community-based theater artist focused on theater as a means of cross-cultural communication. Currently in her second year of ASU's Theatre for Youth master's program, Rocchio continues to work throughout Arizona with people who are incarcerated and people who are homeless. Rocchio believes in creating placemaking that allows for artistic communities to flourish. “Art and Rivka ... exemplify a dedication to our community to make it more diverse. These awards have become some of the most highly-prized, because they highlight and underscore the deep commitment and action being taken by our community to build better communities through the vision and legacy of Dr. King,” says Colleen Jennings-Roggensack, MLK Committee chair and executive director of ASU Gammage. Twenty five students were selected as winners in the MLK Children’s Contest, a poster and essay contest for K-12 students from across Arizona. This year, more than 1,400 applicants submitted work that highlighted this year’s event theme: “Why Not You."